"It's clear the Clarets have the win in their sails, and the nature of their win at Bournemouth especially – bouncing back after conceding an early opener – will have done wonders for their confidence"
They left it a little longer than their fans would have liked, but Burnley have finally managed to take a decisive step away from the relegation picture in the last couple of weeks. Wins over Wolves and Bournemouth were as timely as they were impressive, and the Clarets now sit eight points clear of the dropzone. Win against Cardiff on Saturday, and they can probably start planning for next season in the Premier League. It has been a funny old season for Sean Dyche's side, whose famed defensive grittiness has gone up in smoke: their clean sheet against Wolves was only their fourth at Turf Moor in the league, and only four clubs have conceded more than their 60 goals. They've got three England goalkeepers in the squad, too, which seems a bit... excessive. But there has been progress at the other end of the pitch: Ashley Barnes and Chris Wood have struck up a genuine partnership (that classic big-man-bigger-man combo) and in Dwight McNeil, Dyche appears to have unearthed a real gem of a winger. Keep those building blocks in place and tighten up again at the back, and next season could be more fruitful. They may have been desperately unlucky to lose to Chelsea, and noble in defeat against Manchester City, but the simple truth is that Cardiff have taken three points from the last 18 available - and they didn't have that many to start with. They are still just about alive, but with Southampton in decent nick and Brighton with two games in hand, they simply have to start winning games. Their remaining fixtures do provide hope, with Brighton, Fulham and Crystal Palace all to come after this game. But Neil Warnock will need to draw on all of his experience if they are to manage a great escape, and one of their forwards really will need to find the goal trail; their top scorer is midfielder Víctor Camarasa with five. The historical omens are good for Burnley: they haven't lost a home game to Cardiff since 1998, while Sean Dyche is unbeaten in five meetings with Neil Warnock, winning four of them. The Clarets also tend to do their best work against teams at the bottom of the table: they've lost just one of 14 meetings against sides starting in the relegation zone (W7 D6). It's clear Dyche's side have the win in their sails, and the nature of their win at Bournemouth especially - bouncing back after conceding an early opener - will have done wonders for their confidence. 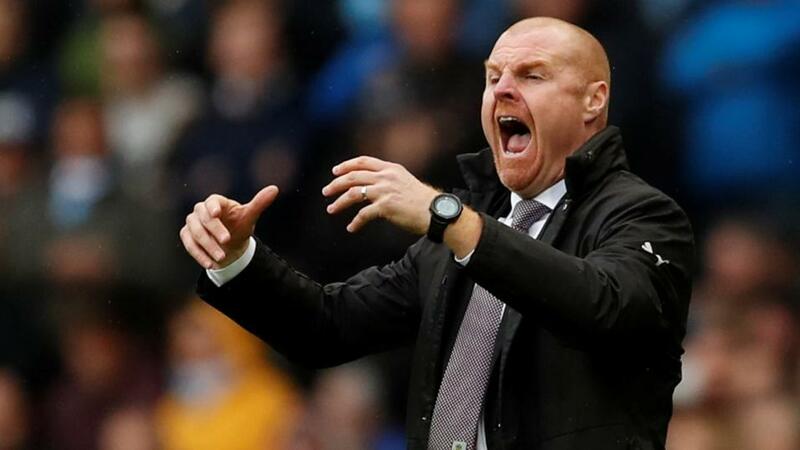 Cardiff will put up a fight, as normal, but we like Burnley's chances of getting the job done at [1.95]. It has been a breakout season for Ashley Barnes, who has added more goals to his snarling physical presence. He has already scored 10 times in the league, meaning he is closing in on Danny Ings' Premier League record of 11 in a campaign for Burnley (11). Burnley have some tricky games ahead after this one (Chelsea, Man City, Everton, Arsenal), so this could be Barnes' best chance to draw level, and there's reason to be hopeful about his chances at odds of [2.38]. He has enjoyed playing Cardiff over the years, with three goals and one assist in his three league starts against them. The Same Game Multi tool on the Sportsbook allows you to combine multiple picks on the same match. Here, for instance, we could back Burnley to win, Barnes to score, and under 2.5 goals at odds of [8.48].